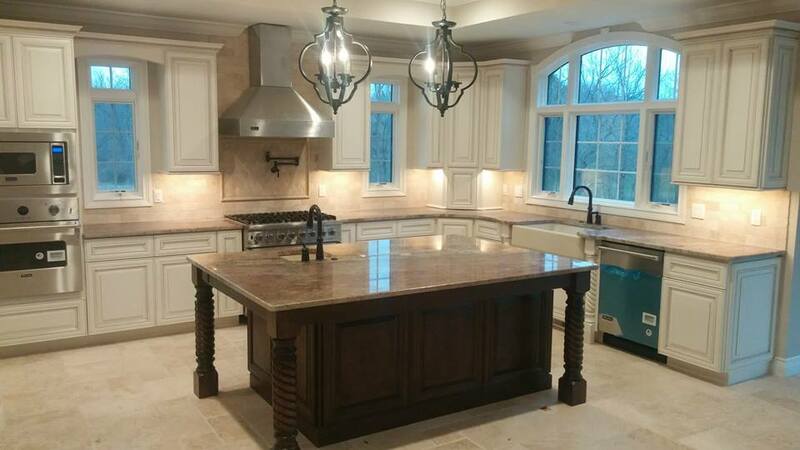 If you are in need of Bloomfield Hills Quartz Countertops, please contact Q Stone, Inc at (248) 760-6161. You can also click here to learn more about us or see our excellent reviews and awards on Houzz! Countertops have always been a key part of kitchen renovations. They can add a new aesthetic to the space as well as improved functionality. 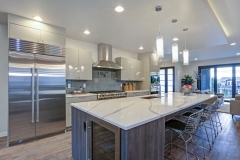 Some of the most popular options in modern kitchen design are quartz countertops. While these surfaces are relative newcomers as kitchen surface options, they’ve quickly proven themselves worthy of the popularity. 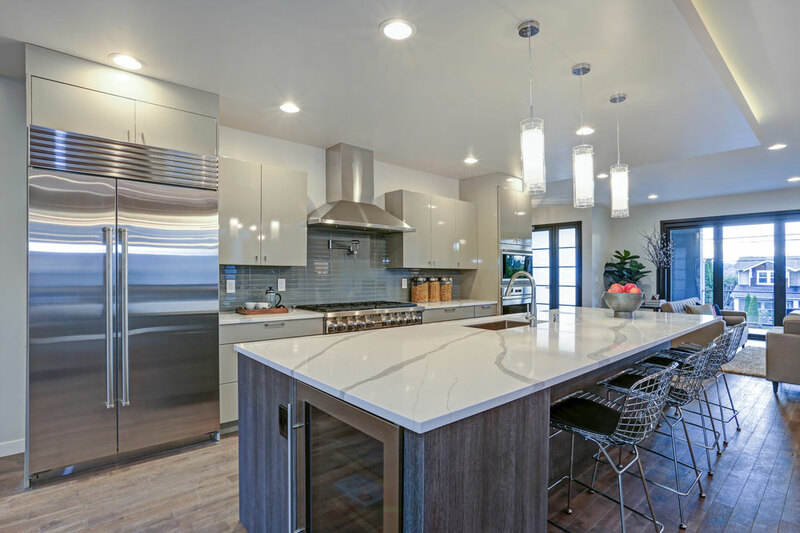 Before you talk to your designer about what type of surface you have in mind for your dream kitchen, learn about the benefits that quartz can offer. Quartz is made of a combination of stone and resin. 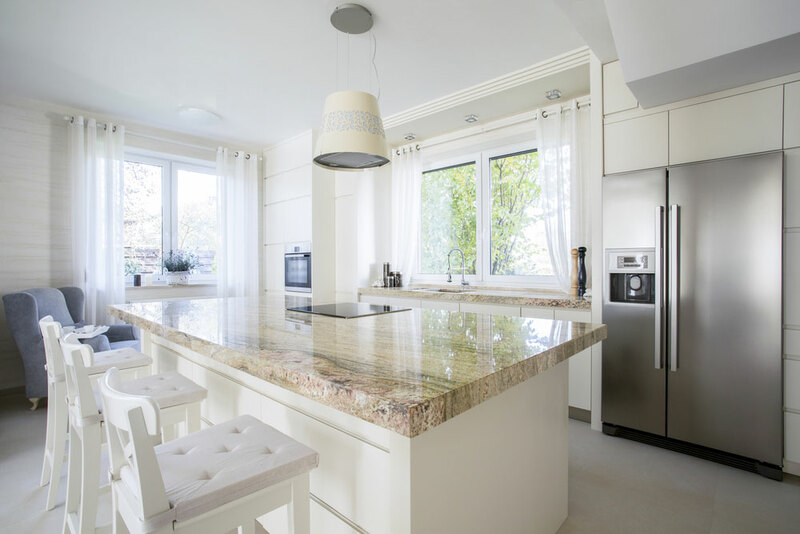 Quartz counters are made of a combination of stone and resin. Additionally, quartz can take any beating an amateur chef or family of five can throw at it. It’s resistant to scratches, stains and anything else you’re likely to encounter using your kitchen normally. This means that if you drop a bowl on the counter, it might break but you don’t have to worry about damage to the counter. 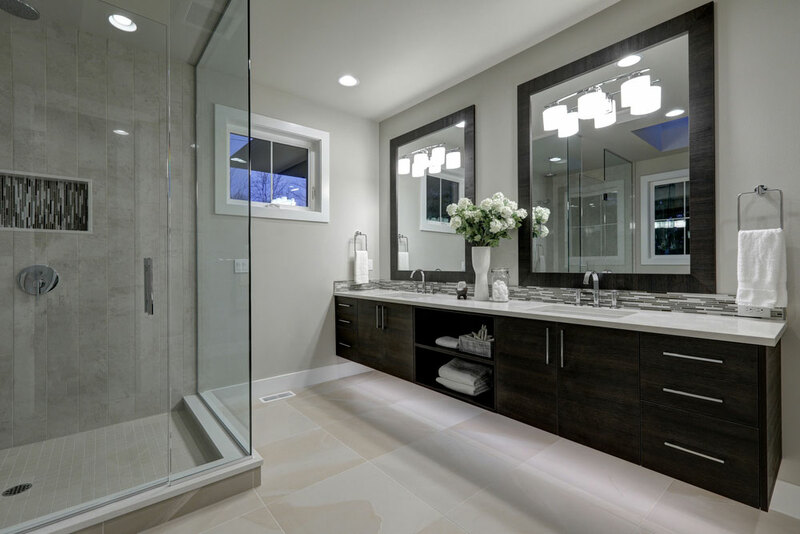 Quartz is heavier than granite, but you can still have it installed nearly anywhere you want. Quartz is adaptable to fit any kitchen design that you and your kitchen designer can come up with. Add an island, a breakfast bar or a little extra food prep space – it won’t be a problem. And, because it is so durable, you shouldn’t have any problem using it however you need, whether you’re preparing dinner or the kids are doing homework. Whether you’re creating a warm, traditional design or a more contemporary look, quartz can play a role. Coming in dozens of colors and styles, quartz countertops can add the perfect accent that you’re looking to match your cabinets. Talk to your kitchen designer about the exact style you want and he or she can make sure you get quartz that delivers. 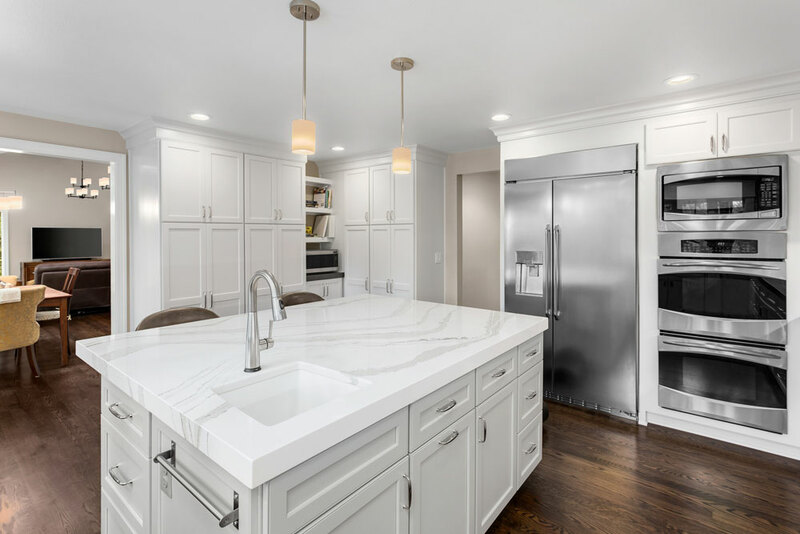 While quartz is more expensive than laminate countertop options, it’s priced similarly to granite and better than marble. If you’re looking for that authentic stone look and feel, it should fit comfortably into your budget. It doesn’t need any maintenance to stay clean, but some brands of quartz are made to specifically keep bacteria from growing. This can be great if you prepare food on the countertop or eat lunch there. 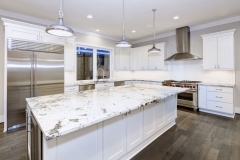 For Bloomfield Hills Quartz Countertops, please call Q Stone, Inc at (248) 760-6161. 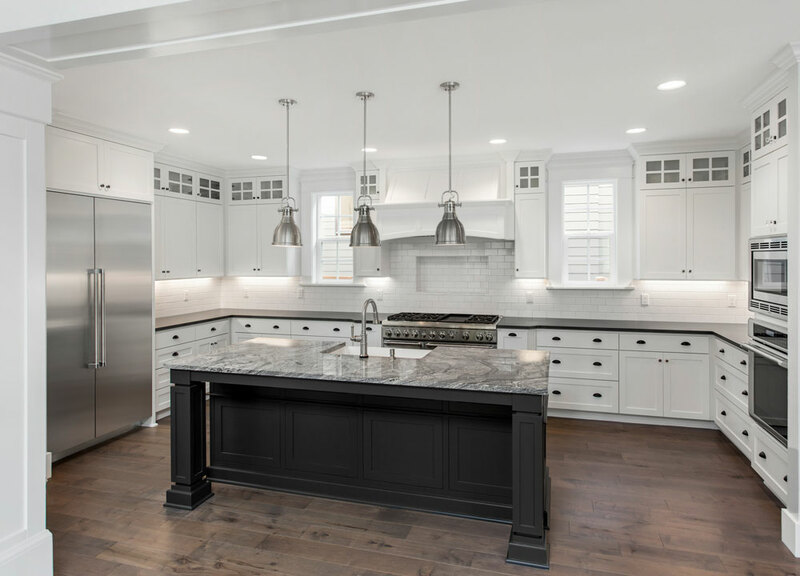 If you are in need of Rochester Hills Quartz Countertops, please contact Q Stone, Inc at (248) 760-6161 for a free estimate. Click here to learn more about us or see our Awards on Houzz. Most stone products are porous to some degree, which means the stone can absorb liquid. However, some types of stone are more porous than others. For instance, granite is less porous than marble and some types of granite are more porous than others. Engineered quartz is different than natural stone products because it is nonporous thanks to the manufacturing process. If you want to get creative with your kitchen countertops, quartz is a good choice. Unlike natural stone, engineered quartz is a flexible product that can be held in place with epoxy instead of screws. This means it can be used for shower enclosures, backsplashes, and walls without visible seams. However, engineered quartz is much heavier than other stone products and installation can be complicated. Quartz countertops are usually installed by certified distributors. For top rated Rochester Hills Quartz Countertops, please call Q Stone, Inc at (248) 760-6161 for a free quote. If you are in need of Bloomfield MI Granite Countertops please contact Q Stone, Inc for a (248) 760-6161 for a free estimate. Click here to see photos of our work or Follow Us on Facebook! Granite countertops are perfectly flat. Do you need to roll out dough on a flat surface, such as for making cookies or kneading bread? All cooks, whether a professional baker or chef or someone who enjoys culinary arts as a hobby, needs a flat surface for cooking and baking. Granite countertops provide this flat surface in the form of a countertop. Head to your local granite countertop retailer with paint samples, fabric swatches, and select items from your kitchen décor. Look at the granite samples in person and then pick out the one that will go best with your family’s new kitchen renovation project. 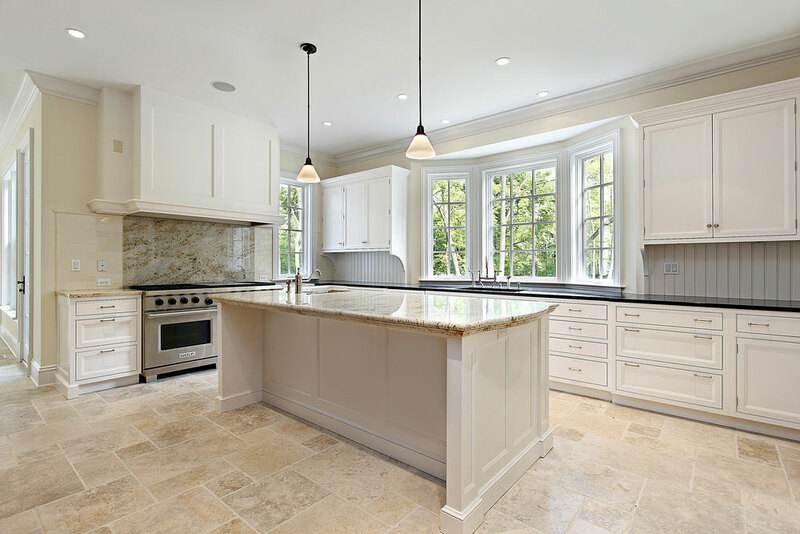 If you are shopping for Bloomfield MI Granite Countertops, call Q Stone, Inc for a (248) 760-6161 for a free quote. 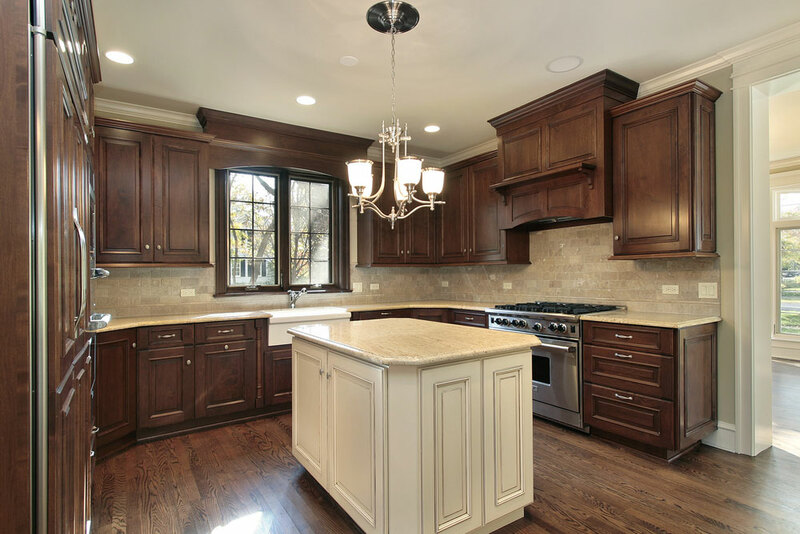 Q Stone, Inc. provides expert installation of kitchen countertops in Oakland County, Michigan and surrounding areas. 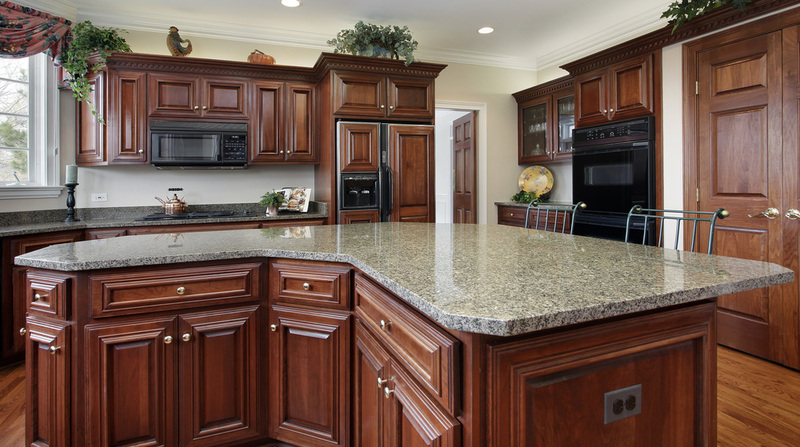 Please call the top rated Oakland County MI kitchen countertop service at (248) 760-6161 today! If you’re looking to freshen up your kitchen or bathroom, but are wary of how much time, hassle or expense home remodeling will take, a solution may be a new countertop. 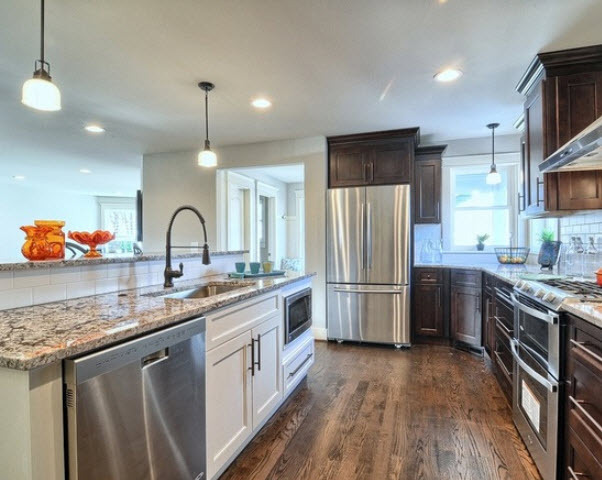 New countertops can make a drastic impact on the way your kitchen or bath looks and feels. Adding value to your home – Any real estate agent can tell you that kitchens sell houses. Whether you are looking to bring your home up to date or personalize your forever home, new kitchen countertops are a great way to add value to your home. Durability – Countertops today are made to handle whatever you can dish out! Need to make 12 dozen cookies for a bake sale? No problem. Do you forget to place a trivet under that hot pan? No need to worry! Price – Improving your kitchen or bath doesn’t have to break the budget. There are numerous options available in many price ranges, making new countertops within reach for anyone. Additionally, adding new countertops can give your kitchen or bath a luxurious feel for a fraction of the price of a full remodel. One of our most popular options are granite countertops, which bring your kitchen beauty and function. 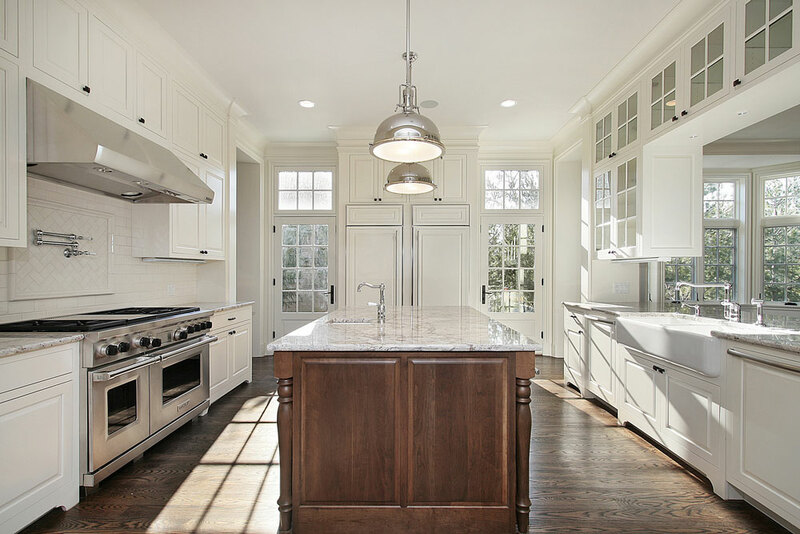 Q Stone, Inc. provides professional installation of kitchen countertops in Oakland County, MI and surrounding areas. Call (248) 760-6161 for a free estimate today! High Quality – Affordable Price. 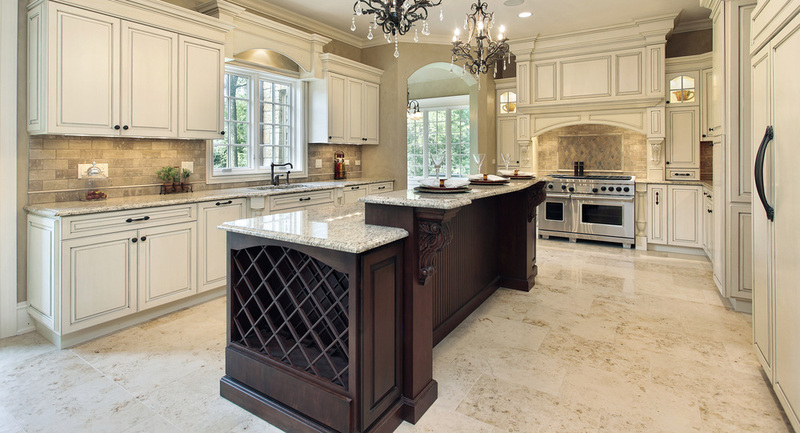 Q Stone Inc., – Michigan’s Best Source for Granite. 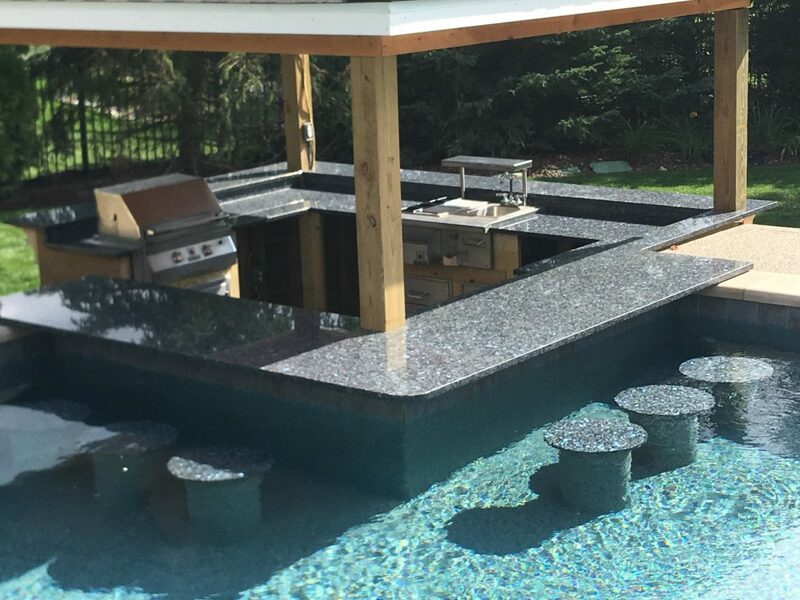 If you are in need of Michigan Outdoor Kitchen Granite Countertops, please contact Q Stone, Inc. at (248) 760-6161 for a FREE estimate. Click here to see more photos of our work or Follow Us on Facebook! Outdoor kitchens and granite countertops are becoming more popular because of this, here are a few ways that they can help your next summer season go even better, and improve your home in general. Pictured above is beautiful outdoor kitchen with granite countertops we installed! With it being outside, you’ll need materials that last. Granite countertops that are regularly sealed can last for years, decades even. Outdoor kitchens and granite countertops go so well together thanks to this longevity factor. Who wants an outdoor kitchen that lasts a season and then needs replacing, or that can’t stand a little bit of partying? Having a few of your closest friends over on a nice summer day is natural. Entertaining them by pulling a few stools up to your granite countertop makes it so you can all hang out as the food cooks. Design your outdoor kitchen granite countertop to have an overhang, creating a bar area for stools. It’s no secret that most people love cooking outdoors. This translates to more value being added to your home if you decide to sell it. For bonus points, conduct your home sale with the outdoor kitchen in full swing. For top rated Michigan Outdoor Kitchen Granite Countertops, please callQ Stone, Inc. at (248) 760-6161 for a FREE quote. If you are searching for top rated Rochester Hills Granite Installers, please contact Q Stone, Inc at (248) 760-6161 for a free estimate. 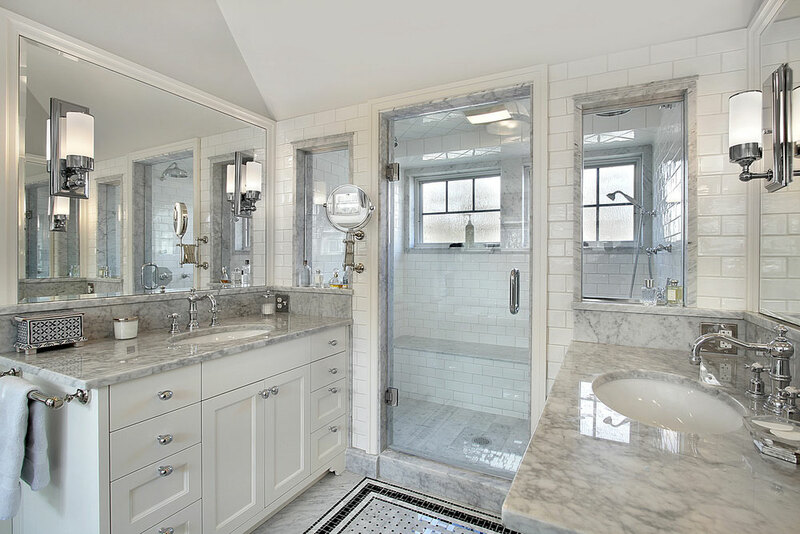 Click here to see photos of our granite projects or Follow Us on Facebook! For experienced Rochester Hills Granite Installers, please call Q Stone, Inc at (248) 760-6161 for a free quote! 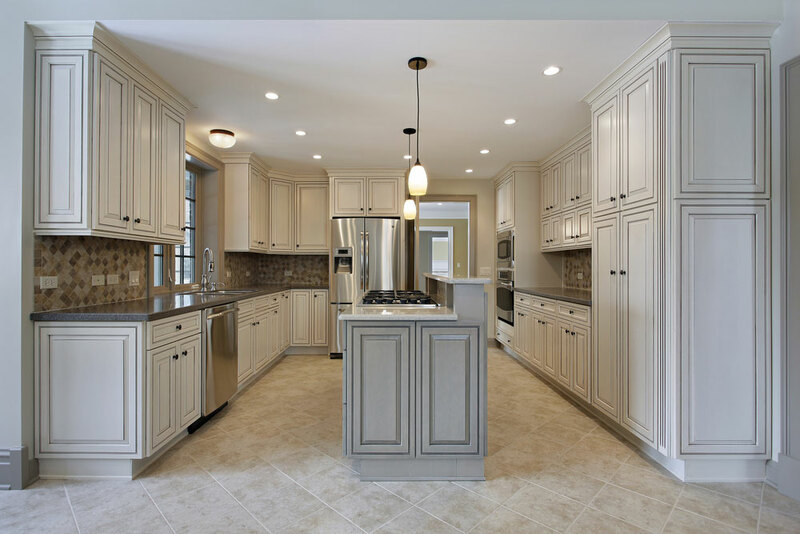 Are you in need of granite countertops in Birmingham MI or nearby areas? If so, call (248) 760-6161 for a FREE estimate. 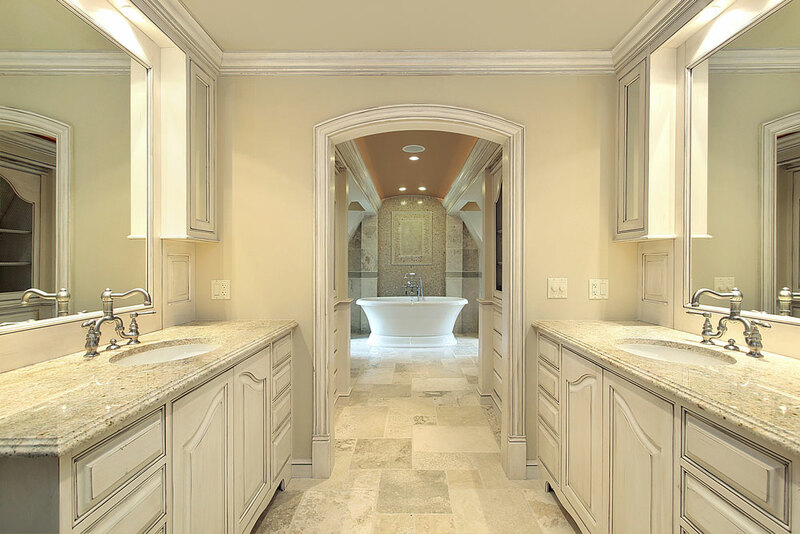 Natural stone is a long-lasting material that lends organic beauty and luxury to your home. 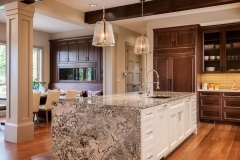 Granite countertops are one of the most popular choices for use in both kitchens and bathrooms. This rock, which is formed as magma cools deep inside the earth, is often mined in areas such as Brazil, China, India, Finland, and Norway. 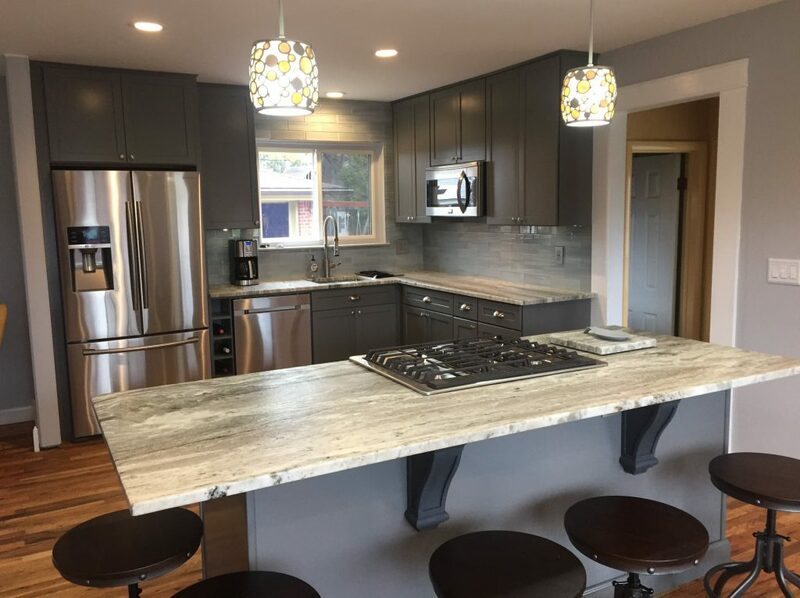 Granite is an excellent choice for countertop material because it is extremely durable, making it a great investment during a bathroom or kitchen remodel. It is difficult to scratch and can stand up to years of abuse from children, pets, and cooking activities. 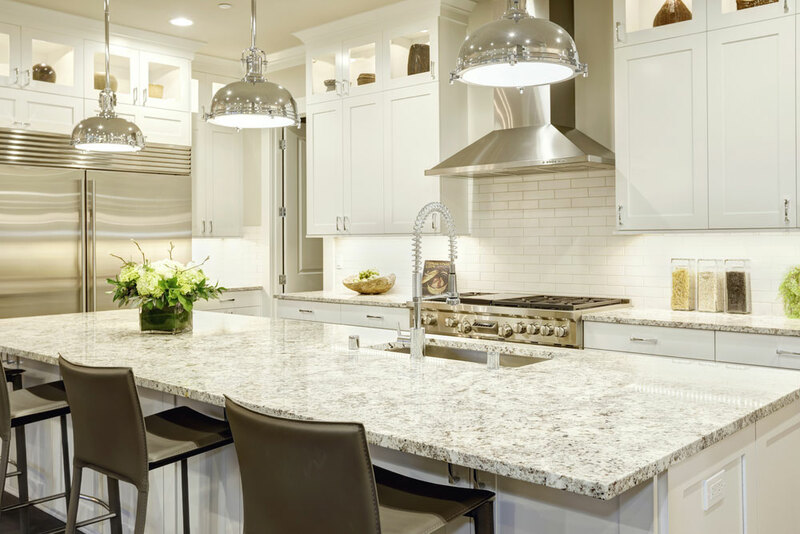 Granite can withstand high temperatures without burning, cracking, or discoloring, making it ideal for kitchen countertops. Furthermore, its polished surface is not only beneficial for baking purposes, but it will not wear away or grow dull with time. Because it is formed through natural processes that vary with time and location, each piece of granite is unique. Every piece of stone contains a slightly different coloration, pattern, and veining. This means that your new kitchen or bathroom countertops are truly a one-of-a-kind piece of art that will add value and aesthetic appeal to your home. Despite this fact, there are enough overall similarities between rock mined from the same location that you can easily match the look of your countertops to achieve a coherent look in your kitchen or bathroom. 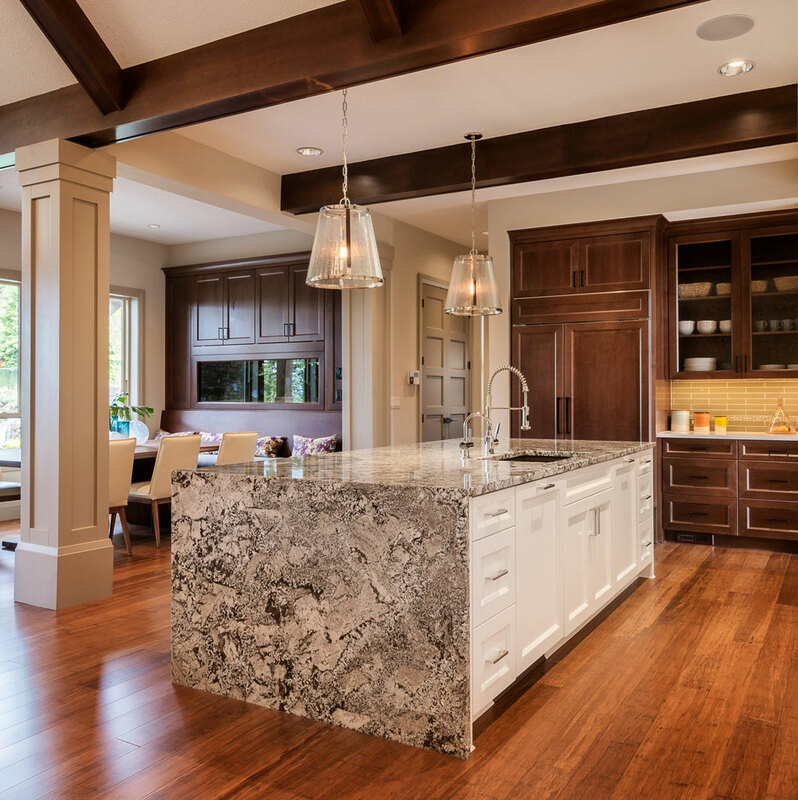 Granite countertops are not only long-lasting, they are resistant to bacteria and easy to clean as well. All you’ll need to clean your countertops on a daily basis is a soft sponge, water, and mild dish soap. Sealants are a great protective measurethat will keep your stone countertop from absorbing liquids, making cleanup even easier and preventing any stains. Q Stone, Inc. provides the installation of granite countertops in Birmingham, Michigan and surrounding areas. Call (248) 760-6161 for a FREE estimate. 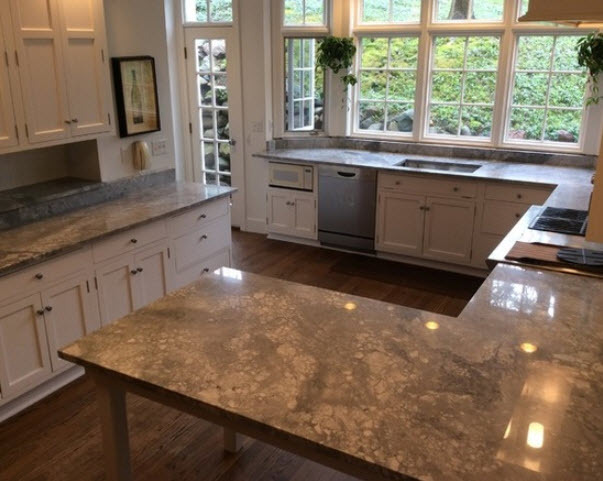 If you are in need of a Birmingham MI Kitchen Countertop Service, contact Q Stone, Inc at (248) 760-6161 for a free estimate. You may also click here to learn more about us. When it comes to decorating your kitchen, you have tons of options, materials, and designs available. This is especially true for your countertops. 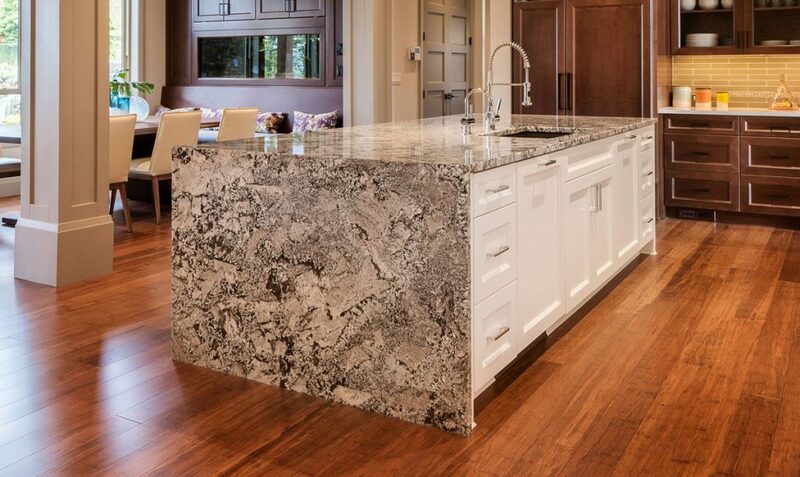 But time and time again, one countertop material stands out above the crowd…granite! Granite is a very hard, colorful igneous rock formed from magma. It can be found all over the world and is mined from the ground at granite quarries. After it is mined, one side is polished, the rock is sliced up into “granite slabs” — and we take those granite slabs and custom cut them to fit your countertops. Granite has been around for millions of years and comes in an almost limitless variety of colors and patters. And granite countertops are not just incredibly appealing for their aesthetic properties; they also boast several other benefits, as well. • Granite countertops are very affordable. • Each and every granite stone is unique. • A wide variety of colors and patterns. • Granite is colored all the way through. • It does not harbor bacteria. • Easily repaired if it’s damaged. • Extremely durable. It will last your lifetime. For a Birmingham MI Kitchen Countertop Service you can trust, call Q Stone, Inc at (248) 760-6161 for a free quote.